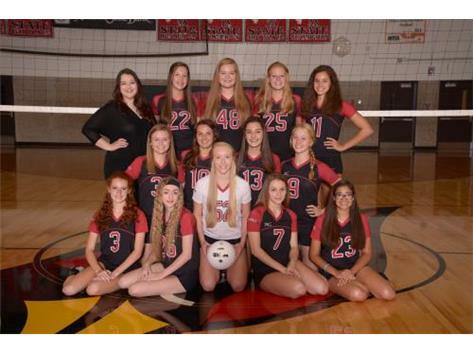 The Stillman Valley Volleyball program nicknamed “The Red Machine” has been working hard to break out and make a statement over the last two years during that time they have done just that. Emerging from a 16-18 record two years ago to a 26-9 record last season while clinching the Big Northern Conference Championship. This season the Stillman Valley “Red Machine” is gearing up to keep the momentum going. 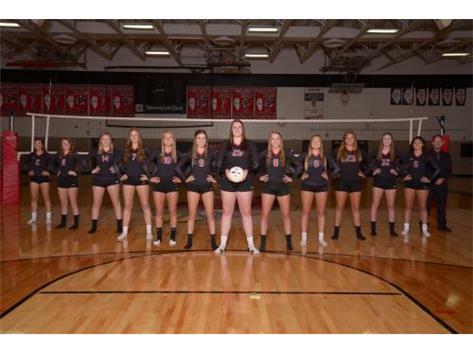 So far this season The Red Machine is 3-0 starting off strong by defeating Leland Earlville (23-25,25-23,25-18), Winnebago (25-21, 25-27, 25-21) and Sycamore (25-19, 25-17). The Red Machine will be returning senior setter Stephanie Anderson, senior rightside hitter Madilynn McKee and junior middle blocker Olivia Kerr. 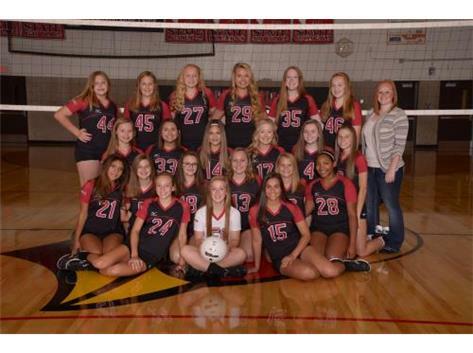 Other players who will join the scene this year are senior outside hitter Madison Swenson, senior setter Faith Lovgren, senior libero Maddy Seiler, junior setter Carly Wubbena, junior rightside hitter Madi Edwards, junior outside hitter Emma Burke, junior rightside hitter Cassidy Purvis, junior defensive specialist Morgan Brown and sophomore outside hitter Gracey Lovgren. As the 2017 season unfolds for the Red Machine time can only tell how they will do. It going to be exciting group to follow. These girls have plenty of heart and a true love for the game. I can’t wait to see how their own story will be written. Go Cardinals! !